PARENTS are being urged to stop and think again when it comes to discipling their children. Local charity Parenting NI have launched their STOP campaign to stamp out physical punishment of children and highlight the benefits of positive parenting. STOP is an acronym for stop, think, options, and positive parenting and through their campaign Parenting NI want to encourage parents to stop and think of other ways to deal with the stressful situation before they act. Muriel Bailey, director of family support services at Parenting NI acknowledges that parenting is an extremely difficult, but hugely important job. "Every day we support parents who are dealing with complex family issues and when children’s behaviour becomes challenging, parents stress levels can rise and at times this means that the situation may not always be managed in the best way. Reactive action can lead to physical punishment being used instead of a measured and thought out positive parenting style and techniques which would result in a more positive outcome. “Positive parenting is an approach which emphasises that children should be treated with respect and guided by those around them to find a sense of self worth, respect for themselves and others. In order to promote this style of parenting we would be encouraging parents to communicate and listen to their child, use positive reinforcement, praise and to set clear, consistent rules and boundaries," adds Muriel. Throughout this week Parenting NI will provide support and information on Positive Parenting strategies and alternatives to physical punishment to empower parents to make different choices, with daily tips available on social media. They will also be holding training workshops for professionals in Enniskillen, Omagh and Derry. "Professionals working with children can be a prime influence on the attitude of parents in managing their children’s behaviour. Therefore, it’s imperative that these practitioners have the skills and resources to support and challenge parents with their approach. 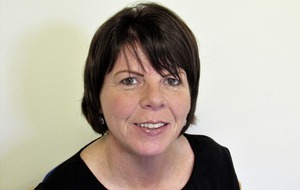 "The aim is to stop children from being hit by adults as a form of discipline by providing training to professionals with an understanding and awareness of children’s rights, guidance and knowledge of best practice methods in dealing with children’s behaviour, and enhance their ability and confidence in sharing that information with parents," adds Muriel. In this country parents still have a legal right to smack their child. However, if the violence you use is severe enough to leave a mark, for example a scratch or a bruise, you can be prosecuted for assault, or the child can be taken into local authority care. Parenting NI support reforming the law in Northern Ireland to remove the defence of reasonable punishment and ensure children are fully protected from all forms of violence, including physical punishment. It is hoped that the STOP campaign will further influence public opinion that discipline doesn’t mean physical punishment and highlight the need for equal protection against assault for children and adults. The Northern Ireland Commissioner for Children and Young People recently released research about attitudes to physical punishment in Northern Ireland which showed that the majority of adults in Northern Ireland think physical punishment is unacceptable and that the law should be changed to protect children in the same way it protects adults from all forms of assault, hitting and smacking. Children's commissioner Koulla Yiasouma, congratulated Parenting NI and the Western Health and Social Care Trust for launching this initiative. "It’s vitally important that professionals working with families have clarity when they advise parents how to teach their children boundaries. "We know from international evidence that it can cause real harm to children’s health and development and does not help parents to manage difficult behaviour. :: Be a good role model – Children take their lead from those around them. Parents’ actions give children their strongest guide for their own behaviour. :: Give clear guidelines – Be clear about rules around acceptable behaviour so children know what you except from them. :: Consequences and consistency – Have consequences for when rules are not followed and consistently follow through on them. Consequences should be realistic and fit with the child’s age and stage of development. Start with small, time-limited consequences and then slowly increase the time or intensity of consequences for repeating the same behaviour. :: Praise – Try to avoid being critical and use praise whenever possible to encourage children to continue behaving in an acceptable manner. :: Spend time together – It’s important to spend time with your child and listen to them. Building a relationship with your child will make it easier to encourage positive behaviour. :: Parenting NI offer a freephone helpline which parents can call for confidential support with any issue. Call 0808 8010 722.